Last year, Defense Secretary Chuck Hagel announced a new “offset strategy” to develop breakthrough solutions to secure American technological dominance into the next century. This year, the budget request increases money for research and development by about $500 million, bringing it to $13.5 billion. It will be a great year for futuristic technologies that sound like they come from a comic book. But the budget also shows that every new invention has consequences and can raise new problems even as it solves others. Obama requested a slight increase in spending for the Defense Advanced Research Projects Agency, or DARPA, which would bring their budget to $3 billion to work on next generation technology related to everything from synthetic biology to space planes. Money for electronic and laser weapon systems jumped to $67 million from a bit over $55 million last year. The request also asks for 29 new Reaper drones, which are in demand to fight terrorism, a larger buy than last year. The military has its eyes turned again to space. The budget requests $7 billion for Defense Department space programs. Expenditures for Navy satellite communications systems rose from $11 million to nearly $21 million. Spying from space also became more expensive. The request for space-based reconnaissance jumped from $78 million to $100 million this year. Architecture and support for space electronic warfare rose from $18 million to nearly $30 million. The Air Force space situation awareness program rose from $9 million to $32 million (in the form of two satellites) and the nation’s $200 million dollar “space fence” a system to track bits of space debris and objects orbiting the Earth, received more money, bringing the total cost for that program to $243 million. 243 Million for the space janitor program? 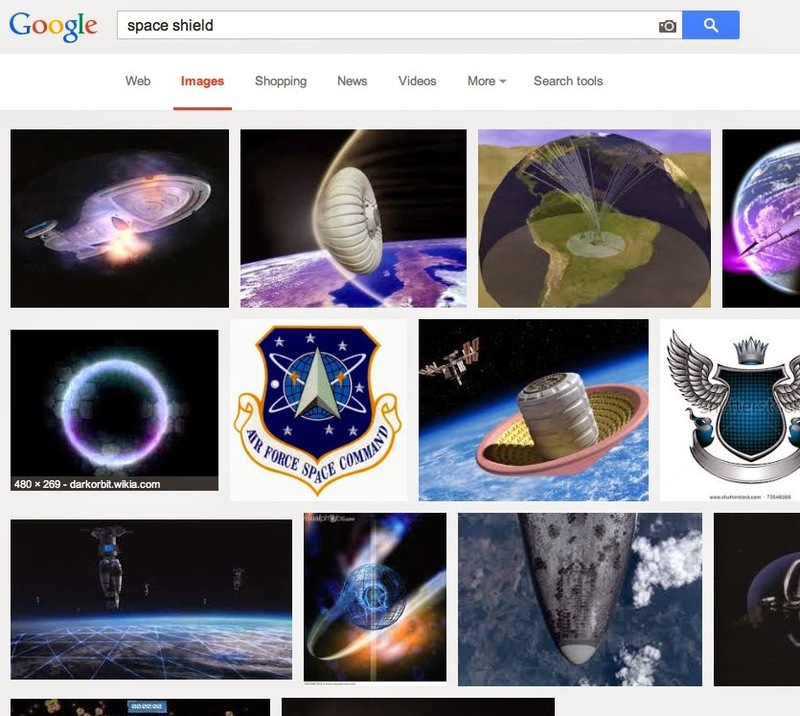 Forgive me if I doubt that the "space fence" was created simply to clean up orbital garbage. Not at that price tag. But the military has plenty of secret spending as well. Spending on classified Air Force programs increased from $14 billion to $15 billion this year. And the gov't is already parceling out the Moon to the highest bidder. In this case the highest bidder is none other than Robert Bigelow. “We didn’t give (Bigelow Aerospace) a license to land on the moon. We’re talking about a payload review that would potentially be part of a future launch license request. But it served a purpose of documenting a serious proposal for a U.S. company to engage in this activity that has high-level policy implications,” said the FAA letter’s author, George Nield, associate administrator for the FAA’s Office of Commercial Transportation. . The best part about this is that it will drive the debunkers out of their fedoras. CSICOP relic Robert Sheaffer detailed how Bigelow- a mogul with very deep pockets, whose inflatable space habitats are serious business in the space field- engineered the merger/takeover of MUFON and the subsequent monopoly of what was left of serious UFOlogy. Doing so wasn't one of Bigelow's more vexing challenges- since Laurence Rockefeller's death, UFO organizations haven't had the endless channels of corporate and foundation money the major skeptic groups receive*. They didn't have much to write home about even when Rockefeller was alive. And not a lot of players want to publicly associate themselves with the field, in no small part due to the endless squabbling and backstabbing UFOlogists are notorious for. Bigelow’s proposal is to generously fund the efforts of MUFON investigators to enable them to respond quickly to alleged UFO incidents. The agreement between Bigelow Aerospace Advanced Space Studies (BAASS) and MUFON sets up a “Star Team Impact Project” (SIP), with an initial funding period from five months to a year, with the option to renew for a second year. Investigations will be limited to cases where physical effects of a UFO are reported or where “living beings” are allegedly sighted or where “reality transformation” is said to occur ...Anyone who is already a MUFON investigator can apply for a position with SIP, although new or inexperienced investigators are expected to demonstrate their skills by performing investigations of routine UFO sightings before moving up to SIP. Sheaffer ended his piece by predicting failure for NUFON (sour grapes, certainly, in his case), but from what I've been told, Bigelow continues to recruit major people in the field. He's famously secretive, but an investigation of Bigelow and Skinwalker Ranch by Jesse Ventura on Conspiracy Theory got a lot of people who are generally skeptical of topic talking. The BAASS continues to keep its findings secret but Bigelow is said to have personally confirmed the validity of the ETH on a Coast to Coast appearance in 2013. I recommend readers pick up the second volume of Jacques Vallee's Forbidden Science, his memoirs from the heady days of Silicon Valley, when all the technology we take for granted was being conjured. Most of those cats were as woo-woo as it gets. Computer technology was part and parcel of their war against consensus reality and a determination to hack the mainframe of corporate entropy. It all came apart when a conspiracy of superannuated grammar school snitches (and much worse) declared war on unconventional thought. The skeptics were in fact very much part of the corporate oligarchy's strategy to reassert its dominance by driving the unconventional thinkers out of the citadel. This isn't speculation on my part- this was a deliberate strategy. It's no accident that real innovation ended a long time ago, that what we have now is just endless tinkering. It's why you have 140 characters instead of a jetpack. The question becomes are they receiving signals from different transmitters?